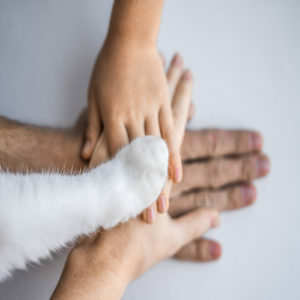 he health benefits of owning a pet or companion animal have long been recognised, from reducing stress levels to encouraging people to increase physical activity. Studies have also shown that a family pet can also reduce the likelihood of a child developing allergies and asthma. Pet owners tend to visit doctors less often and also use less medication, they also recover more quickly from illness and surgery. More recently, there has been an increase in animals being used for therapy. While well established in America, Australia is just beginning to embrace this type of therapy. Depending on the specific goal, animal assisted therapy can help people with improving social, emotional or cognitive functioning. Trained animal visitors, with handlers who understand the specific needs and vulnerabilities of the elderly, are often welcome in aged care homes where dogs, miniature horses and even alpacas bring joy to the elderly residents. Therapy pets are also proving beneficial to assisting returned soldiers who are experiencing post-traumatic stress disorder, and improving confidence in children who read to dogs in a special literacy scheme. For individuals with autism, animal assisted therapy can help them learn to express empathy and develop social skills. Children and adults with autism often interact more freely with animals than with another human. One study found that school-aged children who interacted with a classroom guinea pig for a couple of months showed improved social skills. Research also shows that animal assisted therapy can help children with pervasive development disorders be more focused. Hippotherapy is a specific type of physical therapy that assists people with disabilities. This form of therapy can be found in various countries around the world and is usually overseen by a specially trained physiotherapist or occupational therapist. When a horse walks, it stimulates different muscles groups of the rider’s body helping to improve balance and movement. For individuals who are restricted in mobility, riding a horse can provide a sense of freedom. Hippotherapy also encompasses psychological, speech, language and cognitive benefits. In the United Kingdom and in Australia, therapy dogs have been trailed in some court facilities to reduce stress for people going through the legal system. Stroking and hugging such dogs can help distract people who are anxiously awaiting a verdict or who are waiting to give evidence. Police, lawyers and other legal representatives in a New South Wales trial reported a reduction in stress levels after spending time with therapy dogs. Courthouse facility dogs are already common in America, Canada and Chile. In Australia, disability assistance dogs are permitted in court under the Discrimination Act 1991 but companion animals are often unrecognised if they have no formal accreditation. The majority of visits to aged care centres, hospitals, special needs schools and court facilities are undertaken by specially trained volunteers often overseen by a supporting charitable organisation.